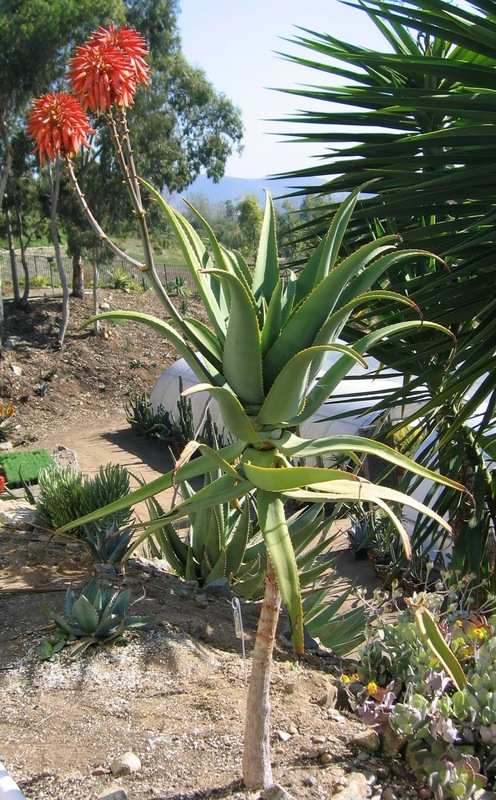 Have you heard of the Institute for Aloe Studies? 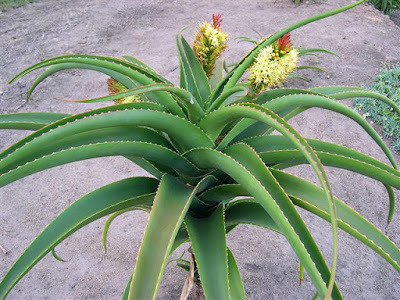 High five if you answered yes; I bet you hang out a lot in aloe-related web forums! But don't feel bad if you haven't. The Institute for Aloes Studies isn't a household name yet, although it deserves to be. The Institute for Aloe Studies (IAS) is the brainchild of John B Miller, an elementary school teacher from Oakland, California who became hooked on aloes when he saw an Aloe sabaea on his first visit to the Ruth Bancroft Garden (RBG) in nearby Walnut Creek 20+ years ago. 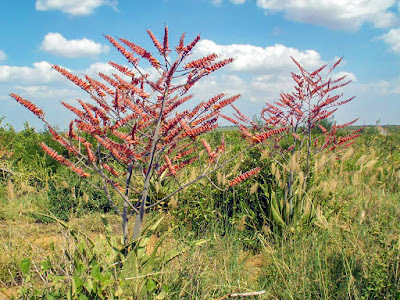 In the years to follow, John and his brother Jeff, equally enamored with aloes, worked as volunteers at the RBG and built up an impressive aloe collection of their own. 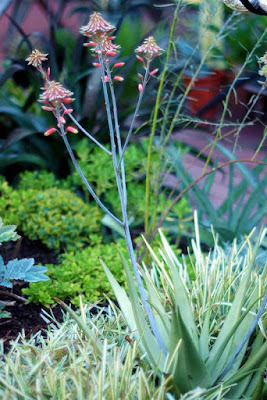 The next stage of my aloe passion was to grow plants from seed. I ordered from all over the world and before I knew it I had many more aloe seedlings than I knew what to do with. 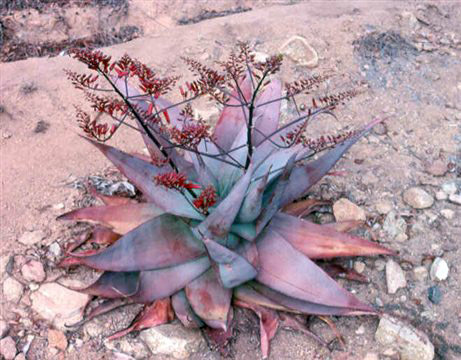 I had pots filling my living room windows, flats of plants at my parents’ house, and I had covered my roof with aloes. It was out of control, but I think that any plant lover can understand the madness. 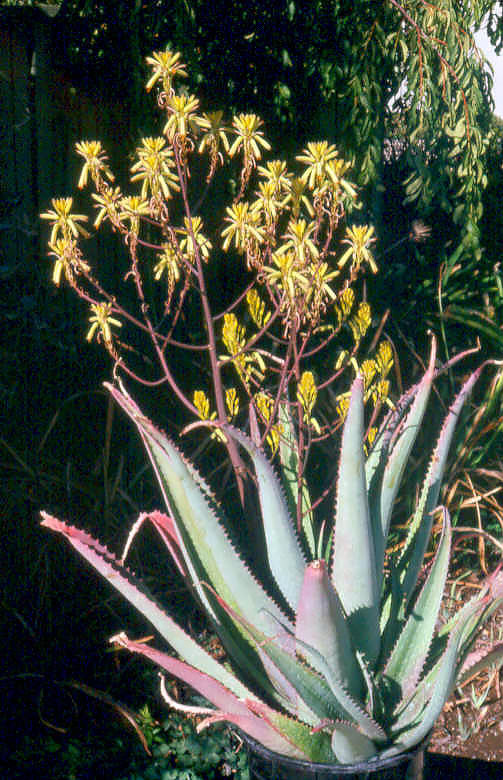 The seed for an organization dedicated to aloes was sown in conversations between Jeff and Brian Kemble, the curator of the Ruth Bancroft Garden. The rest is history, as they say. 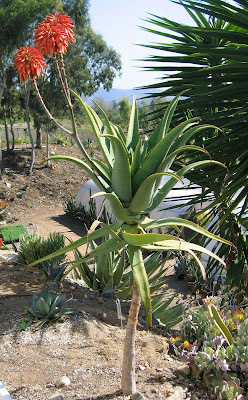 In 2001, the Institute for Aloe Studies became an official non-profit educational organization with John Miller as the president, Brian Kemble as the vice president, Jeff Miller as the treasurer, Ren Almanzor as the secretary, and Phil Favell as the director of Southern California operations. Education, goal #1, is primarily done through the Institute's website, which contains photographs and descriptions of most (every?) 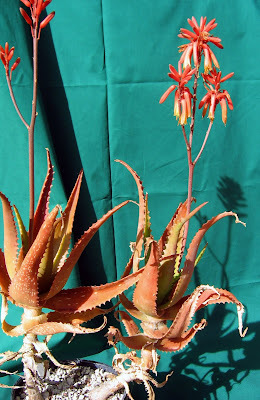 aloe species as well as links to books and related sites. In his capacity as an elementary school teacher, John is also working with students to grow aloes, acacias and kniphofias for use around the African animal exhibits at the Oakland Zoo. Conservation, goal #2, is achieved by propagating a large number of aloe species from known origins specifically for sale to the public. 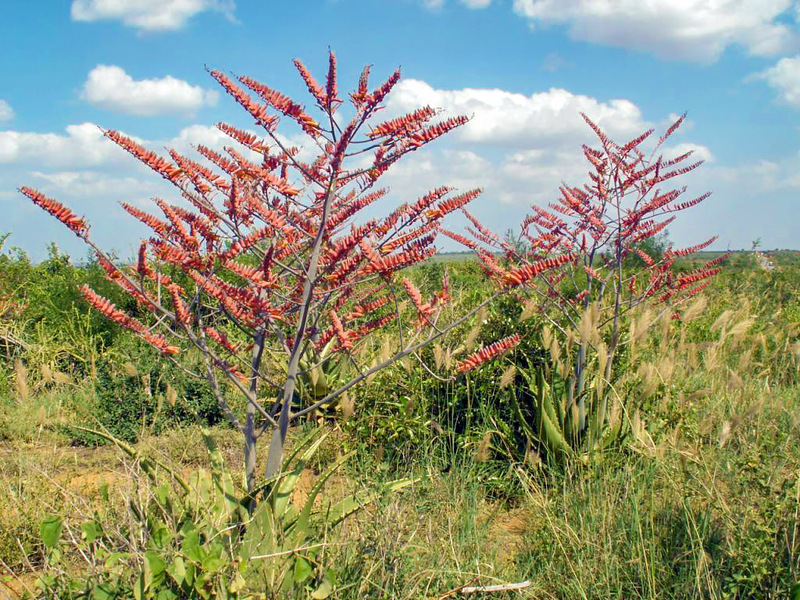 The hope is that this will cut down on the trade of plants illegally collected from the wild and promote ex situ conservation, especially of endangered aloe species. The aloes for sale are grown in John's garden and in a greenhouse at the Oakland Zoo (mainly used for rare plants). Right now, there are no public tours of either facility, but the John is hoping that someday they will be able to give access to other aloe aficionados. I'd been keeping an IAS wishlist for a while now, and I finally placed my first order. 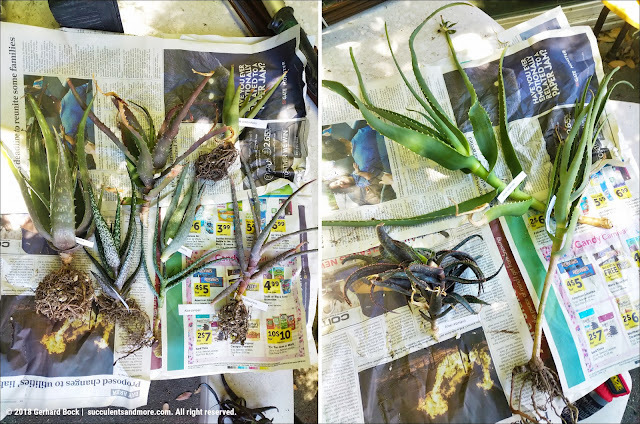 It arrived within two days—John Miller went above and beyond to send out my aloes before going on a trip. 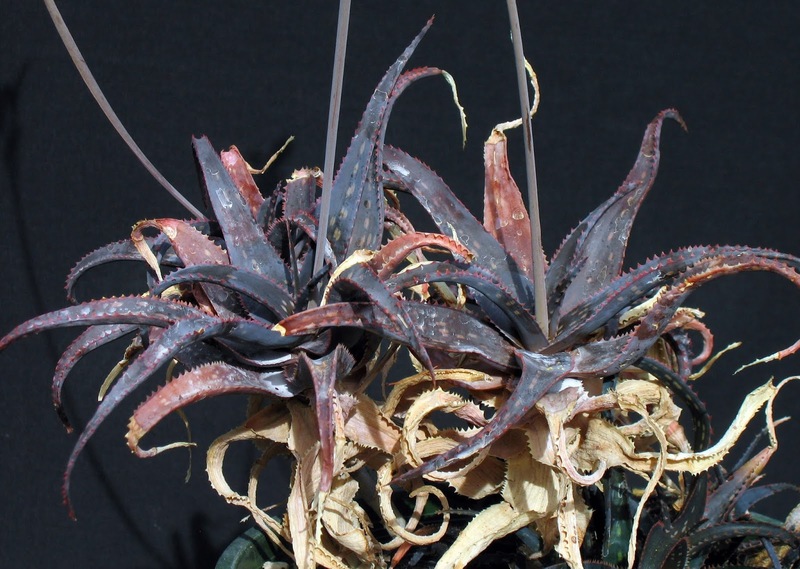 The IAS online store currently has over 100 species for sale. 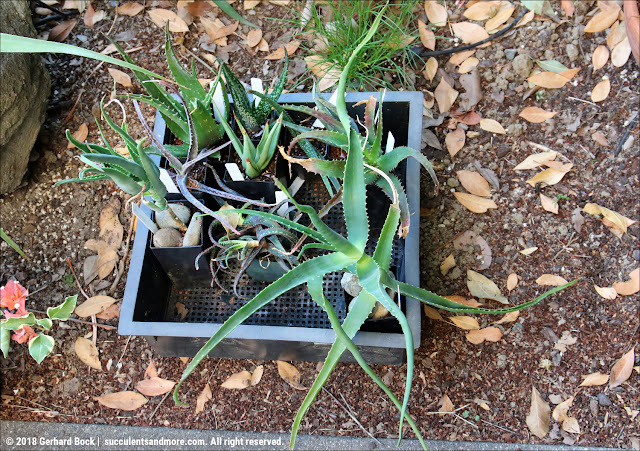 None of them are the "big name" aloes you can find elsewhere (like Aloe ferox, Aloe maculata, Aloe marlothii, Aloe striata, etc.). The IAS focuses on species that range from not common to downright rare. 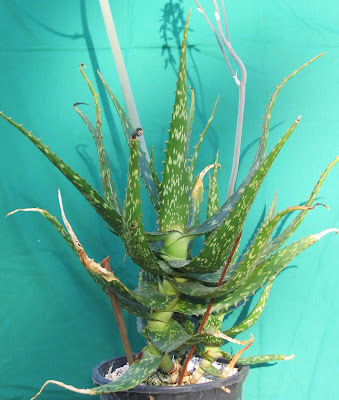 While I'm not an aloe expert, I have a passing familiarity with many species, yet there were dozens in the IAS store I had never even heard of. The plants for sale range in size from extra small to extra large. There is no description of what that really means, but for reference most of my plants were either medium or large. Prices are very reasonable and range from $4 to $15, with most plants in the $5 to $8 range. Considering how unusual many species are, these are excellent deals. If you're interested in aloes and want to go beyond what everybody else has, give the IAS a try. You'll get something special and contribute to a worthwhile cause. To order, go to the IAS store and click the Order Now link for any of the plants you want. This will create a new email to John Miller. All you have to do is fill in what you want. John will get back to you with the total. Below are the plants I bought. This listing is as much for my own records as it is for your information, especially the "Why I ordered it" comments. Mature size (HxW): 2×1 ft. Mature size (HxW): 3×3 ft. Mature size (HxW): 3×1 ft. Mature size (HxW): 12×4 ft. Mature size (HxW): 2×3 ft. Mature size (HxW): 1×½ ft. Mature size (HxW): 2×4 ft. So do you have a spot for these ?? Just asking lol. I'm looking forward to exploring the IAS website. Your question made me laugh. Of course not :-). The good thing is these are small. They'll be in pots for a few years until they're big enough to go--somewhere. By then spots will have opened up. I had no idea they existed and I'm a Bay Area native - excited to give them a try. Thanks! I'm glad I was able to spread the word. I've ordered from him before. Since I live in walking distance from the zoo, he was generous enough to let me pick up the plants, and he was generous enough to give me a tour. I got a scobinifolia, pluridens, spineless arborescens, and elgonica, all of which are doing very well. 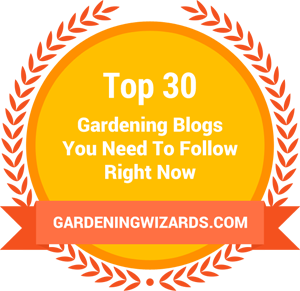 If you get the chance, get a tour of the green house! His garden is wonderful too. Good selection, I'm interested to see how those do for you. Max, thanks for the endorsement! I hope to meet John later in the year. 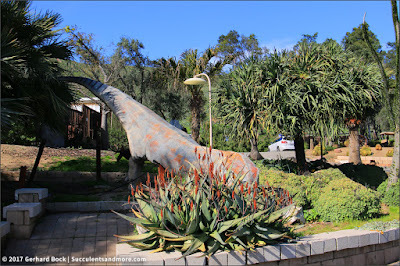 The sheer number of species they're growing is impressive! 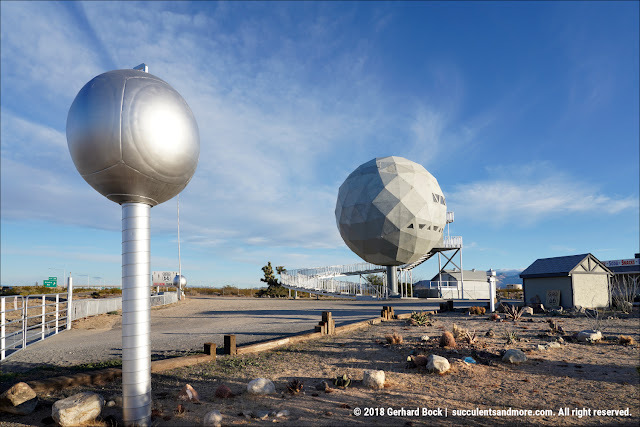 Wow thanks for the heads-up on IAS Gerhard, and great choices for your own collection! I will definitely be ordering! I'm sure you'll find more than you thought you needed! thanks for letting everyone know about the IAS. I'm off to explore their website! I hope you'll find something you can't live without! I've shopped there several times but never purchased. The foliage on that chrysostachys is oooh la la! Thanks for sharing this. I've seen both John's garden and the greenhouse at the Oakland Zoo, but have yet to buy anything. Your purchases sound great!